I have wanted an RCZ since they were first released but was never earning the money to be able to afford one. Then they released the R and I wanted one even more. Long story short, I now have one and couldn't be happier. My wife is also over the moon with it even though she hankered after an Audi TT (not my cup of tea). Her input was that it had to be white, which was fine by me! We travelled across the width of the country to see it and used up an entire weekend in doing so but boy was it worth it. Such a lovely drive, fun but also extremely comfortable, not as hard a ride as i'd been led to believe by a lot of reviews. Decent on fuel too, got over 45 mpg on the 300 odd mile drive home. How many cars did you view before buying? Where did you eventually purchase from and whereabouts in the country are you? Welcome to the most comprehensive RCZ forum on the net !! Glad you found what you were looking for, says the nutty perfectionist who is now on his second white R !! You will get looks galore and won't be able to stop yourself looking back at your R parked in the farthest spot in the car park. 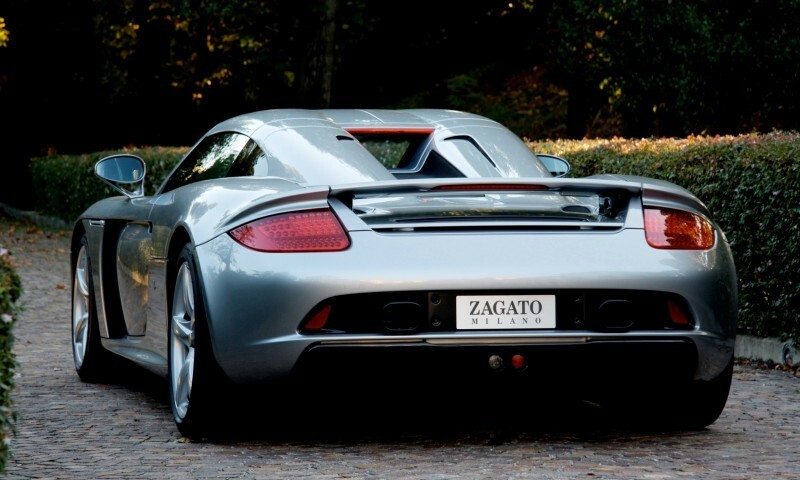 you can drive along smuggly knowing you've got a gem of a sports car at the fraction of a Porsche Carrera GTZ by Zagato ( also double bubble roof ) .... and you can imagine what that'll cost ! there are fairly regular meets through the year both here and on foreign soil, so you can show off your car and meet with fellow enthusiasts of the brand. Good Luck and have fun. Cheers M.
I took a test drive in one of each of the petrol engines (i'm not a diesel guy). The 156 left me a little underwhelmed, it was a lovely drive, but just didn't give me that fizz. The 200 was definitely more my cup of tea, but I pretty much already had my heart set on an R and it did not disappoint as you guys will know! We wanted to get one from a dealer, but soon found out that Peugeot themselves don't sell any RCZs any more. It must be a recent thing as when we looked a few months back they had plenty. This narrowed our search massively, wanting an R, in white, and from a dealer. It took a few weeks but we eventually found one at a BMW dealer of all places.....in Wales. Living in Essex this was a bit of a downer, but didn't put us off. We contacted the dealer and said we were interested and had many conversations about the history of the car (just under 40,000 miles with full Peugeot dealer service history all at the same dealer). They sent us videos and loads of pictures so we knew the exact condition of the car. I would never buy a car unseen though, despite all the positives we'd been shown. The dealer said they had someone coming to look at it the next day which immediately got my heart racing a bit. This was either a very cunning trick or a happy coincidence. You know you really want something when you get that feeling! After a few discussions back and forth the dealer said that if we put down a totally refundable £1000 deposit he would secure the car for us until the weekend when we could come and view it and test drive it. I was a little hesitant to do this at first, but thought being a BMW main dealer it would be ok if we had it all in writing in an email, which is exactly what we agreed. I have to say, the customer service we received from the dealer was outstanding. Always happy to answer questions, and always promptly returned our calls should they be busy. We discussed options of transporting the car to a BMW dealer near to us in Essex should we be happy with it which all went fine. Then the dealer came up with an alternative... To save us driving all the way there and back, just to test drive it, he offered to put us up in a local hotel near the dealership for the night with dinner and breakfast, and then pick us up in the morning to take us to the dealership to test drive the car. All we had to do was get the train there. And as I work for the railway this would be super cheap for me and my wife. They even organised a taxi to pick us up from the station. Meanwhile he would make sure the car would be 100% ready for us to drive home should we go through with the sale. Having experienced appalling customer service in the past with VW (Inchcape) I was really impressed with how they handled everything, especially as we were probably buying one of the cheapest cars they had on their forecourt! Anyway, thanks for the welcomes. Here's to many miles of fun motoring! We intend on keeping "Roxy" as we've named her for many many years! Welcome, from an ex-Essex lad. Sounds like you found a great dealer there shame their not all like that. You will love the R! Great customer service you received! I got my Asphalt at the weekend too. I'm also in Essex, nearly travelled to Leeds on Sunday to buy one and then one popped up in Essex.